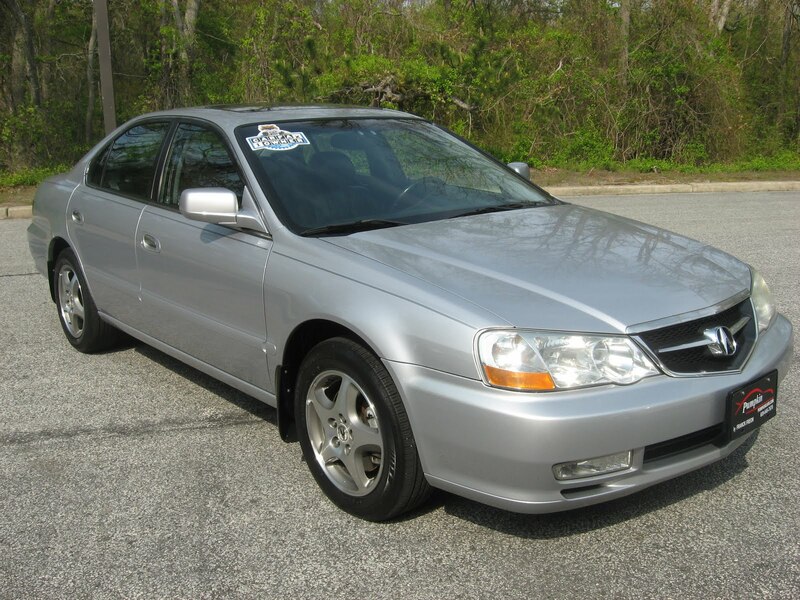 Today from Pumpkin Cars, our fine car of the day is this low mileage 2002 Acura TL 3.2 . When we say low miles, we mean low miles at only 61k! That's an average of less than 7k original miles per year. Besides having such low miles, this TL is also a Car Fax Certified One Owner Car. It is by far one of the best values currently in our inventory. This TL has a very sharp color combination of a Silver exterior with a Black Leather Interior, which is always in high demand. 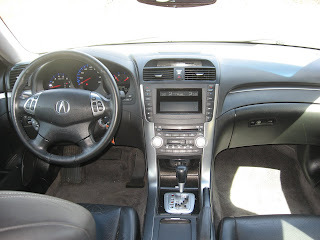 Acura is renowned for its combination of high end luxury and super reliability and it shows in this TL. 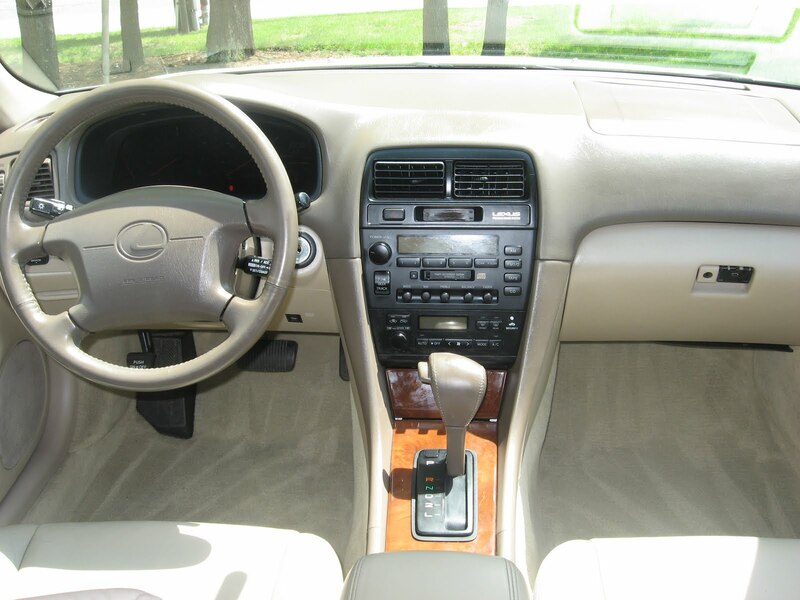 The car is pristine both mechanically and cosmetically and has a ton of great features and options. We are talking about the Bose Sound System With In-Dash 6-Disc CD Changer, a Shiftable Automatic Transmission, ** REMOTE START**, Power and Heated Seats with Memory Positions, Heated Mirrors, Alloy Wheels, Auto-Dim Rear View Mirrors and much more! 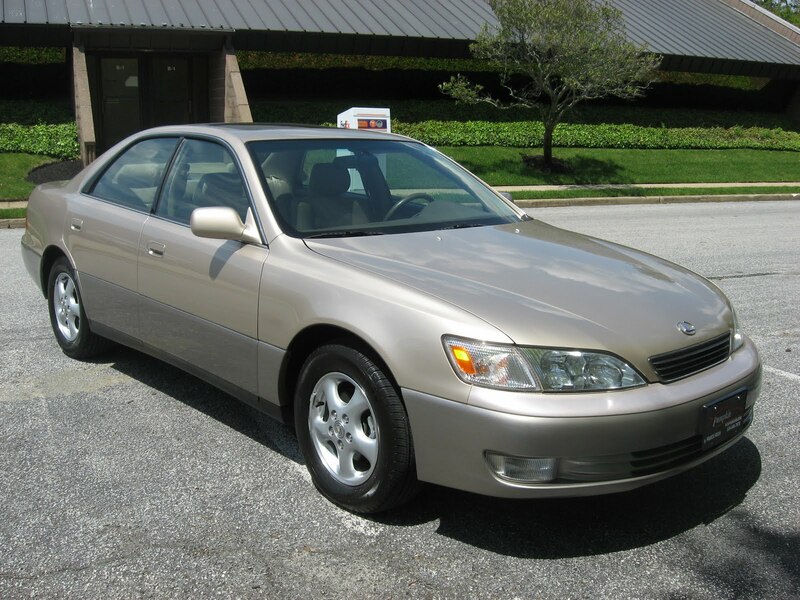 If you are looking for a smooth, luxurious and dependable sedan than come by our unique indoor showroom at 2511 Fire Rd in Egg Harbor Township today to check out our 2002 TL and take it for a spin. Today from Pumpkin Fine Cars we present to you this nearly perfect 2001 Infiniti QX4. 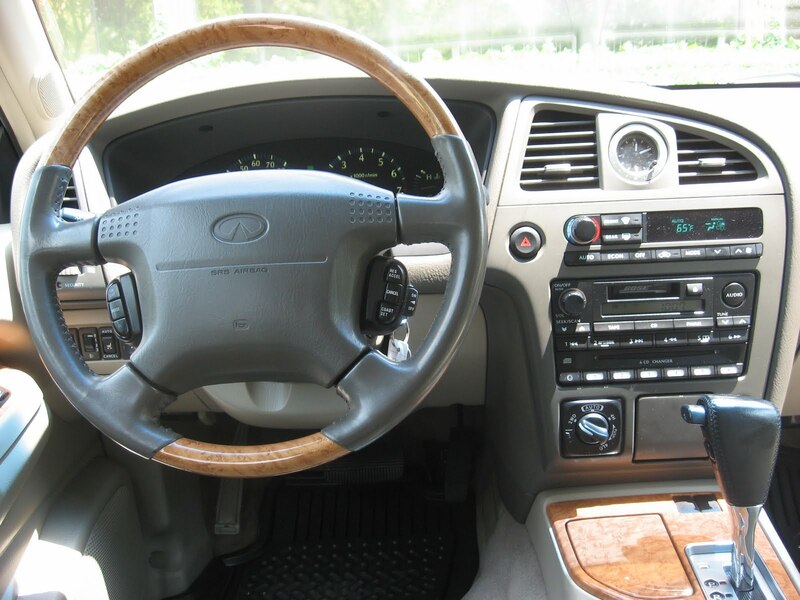 This luxury SUV is equipped with All Wheel Drive and has a shimmering Silver exterior with a Tan Leather interior that includes very distinguished Wood Grain trim around the steering wheel and center console. Infiniti is known for producing very safe and very reliable vehicles with the luxury features and equipment that many brands simply cannot match. 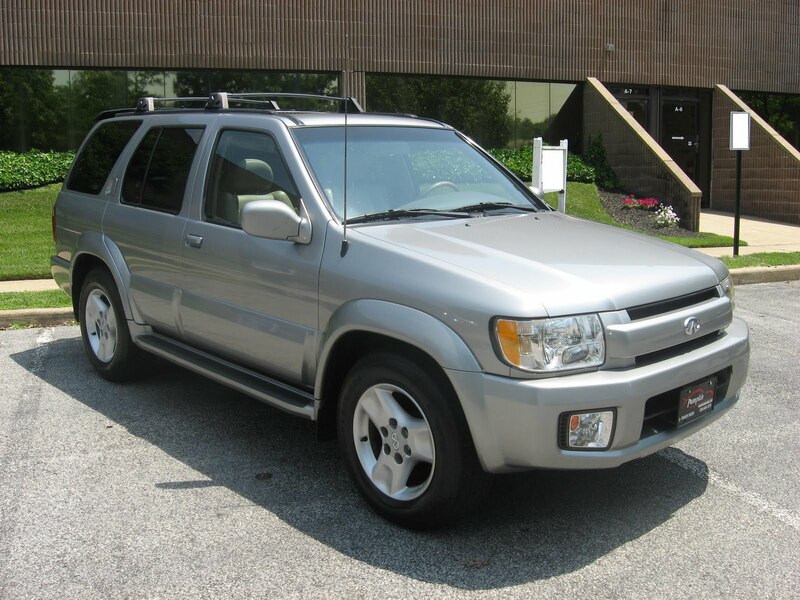 This QX4 has 80k miles and presents like brand new, it is truly exceptional. The Car Fax report for this car is just as clean as the car itself. Now, the best part of this SUV is the price, $10,995...almost $1,000 below book value and a fraction of the cost for this SUV brand new. With many luxury features and options, this QX4 is very well equipped. We already mentioned the lush tan leather interior with wood grain trim, but it also comes with an In-Dash 6-Disc CD Changer, Power Seats, Alloy Wheels, Xenon Headlights, Running Boards, Privacy Glass and Bose Premium Sound System and more! As always this vehicle was chosen by Franck Freon to be the next addition to the highest quality Pumpkin Cars inventory. As part of our unwavering Pumpkin Certification Program, the SUV was also test driven by Franck to be assessed for it's mechanical and cosmetic needs, fully serviced based on Franck's recommendations, professionally detailed and ready for sale. The Pumpkin Cars staff is very knowledgeable abouts the vehicles we carry and are ready to assist you in meeting your car buying needs! Swing by our unique indoor showroom at 2511 Fire Rd in Egg Harbor Twp to check out this Infiniti QX4 or any number of great cars in our inventory. 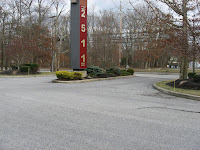 CONTACT US at (609)646-7676 or email us at mailto:[email protected] . 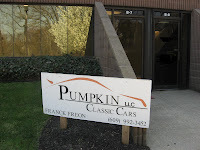 Find us and become a Fan of Pumpkin Cars on Facebook, follow the tweets of @PumpkinCars on Twitter, view videos of our pristine inventory on YouTube and click here to subscribe to our blog. For financing information or to view a complete list of our pre-owned vehicles currently in-stock, log onto our website at PumpkinCars.com . Click here to see what our customers have to say about their experience here, at Pumpkin Fine Cars! 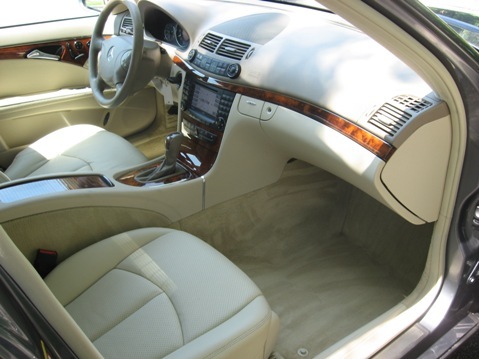 All of our loyal customers and friends are aware that here at Pumpkin Fine Cars, our entire inventory is top notch. 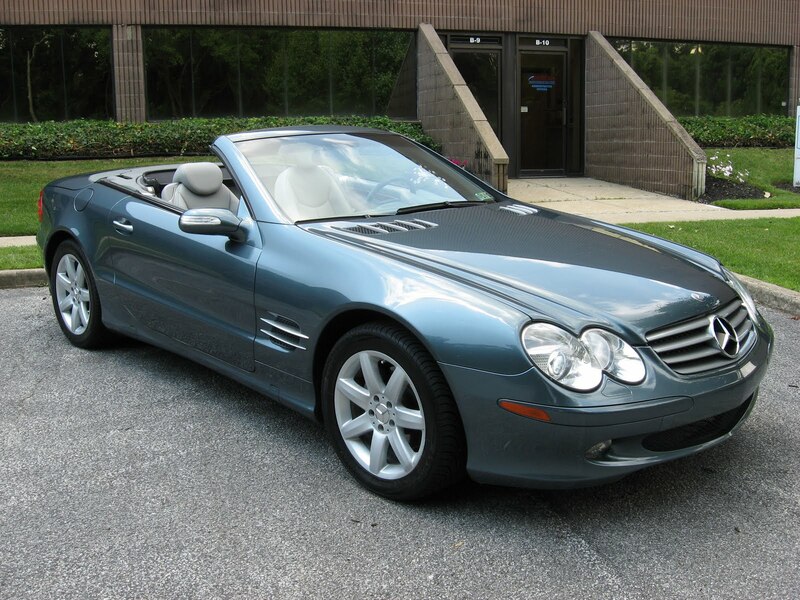 From time to time we get that really special, really exceptional car and right now "the car" is this 2004 Mercedes Benz SL500 Roadster. This is the most prestigious roadster of this generation. With it's unique and sleek color combination of Capri Blue Exterior on Light Gray Leather Interior, this Benz is sure to turn heads all around town. With only 73k miles, you can own this top of the line Roadster for $26,995 which is almost one quarter of the original sale price of about $100,000. It, of course, has a spotless Car Fax Report and it is in outstanding condition both cosmetically and mechanically. This SL500 has a very powerful, yet also very smooth Mercedes Benz V8, 5.0 Liter engine and is the definition of fully loaded. It has a Power Hard Top, Power, Heated and Cooled Seats with Memory Positions and Lumbar Back Support, Navigation, Bose Premium Sound System, Xenon Headlights, a 6-Disc CD Changer, 18" Alloy Wheels and so much more! If you would like the opportunity to drive this very rare, very exclusive SL500 home with you, swing by our unique indoor showroom on Fire Rd in Egg Harbor Township. Franck Freon and his hard working, knowledgeable staff are ready to get you on the road in your dream car! Today at Pumpkin Fine Cars we present to you this beautiful 2006 Mercedes Benz ML350! This luxury SUV is just into inventory, consistently ranked at the top of it's class and a favorite here at Pumpkin. It's Jet Black exterior and Black Leather interior make this ML350 in very high demand. It is a Car Fax Certified One Owner Car with 64k miles and at $23,995 it is once again a tremendous value at Pumpkin Cars priced about $2,000 below current book value. Being a 2006, this ML350 has the newest body style for this model so if you keep it nice and clean no one will know whether it is a 2006 or 2011! As you would expect with a Mercedes Benz, the luxury features and options are second to none. This ML350 has Power and Heated Seats with Memory Positions, Alloy Wheels, MP3/CD Player + 6-Disc CD Changer, Privacy Glass Windows, Roof Rack and More! This car of course was hand selected by Franck Freon and prepared top notch in accordance with our Pumpkin Certification Process. Take a ride over to our unique indoor showroom to check this baby out, it will not be here for too long! 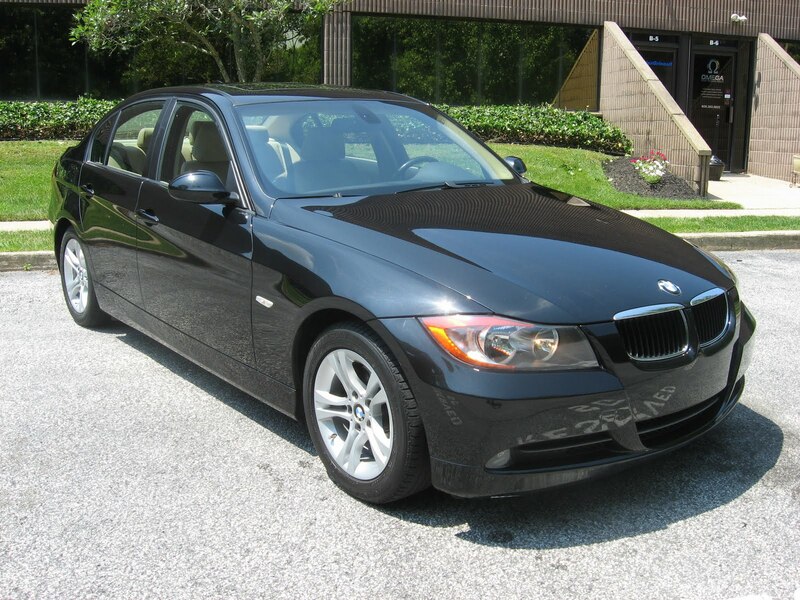 Today from Pumpkin Fine Cars we present this awesome 2008 BMW 328i. This car is one of many just brought into inventory this week and it is a gem! 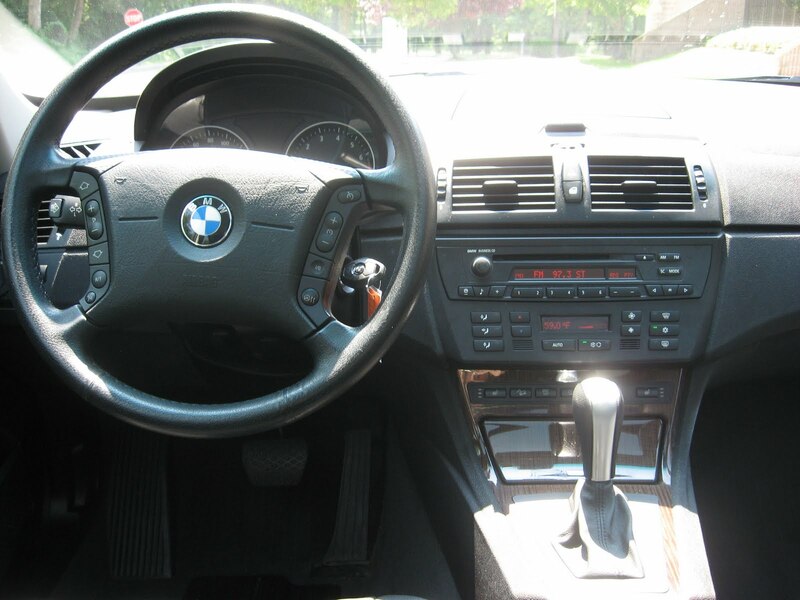 Jet Black with a Tan leather interior, only 46k miles and under Full BMW factory warranty and service until April of 2012. This 3 series is a can't miss for a driver that wants the look and feel of a brand new 328i, but wants to get the best value for their money possible. This car is priced to move at $23,995, which is almost $3,000 below book value and more than $10,000 below the cost of a brand new one. 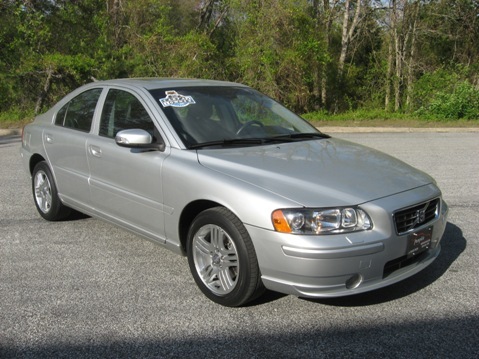 Did we mention that this sports sedan is a Car Fax Certified One Owner Car...because it is! 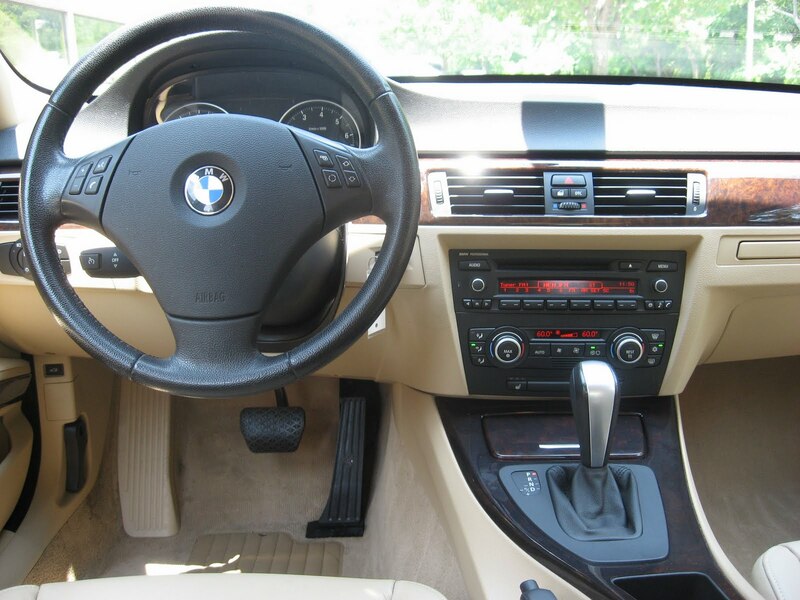 As far as features and options are concerned the Beamer is very well equipped. It includes: Automatic Steptronic Transmission, Premium Package including Power and Heated Seats with Memory Positions, Alloy Wheels, an MP3/CD Player, Auto-Dim Rear View Mirrors, Power Moon Roof and Full Leather Package. Mechanically this 3 series has just about brand new brakes, good tires and is ready to roll. You do not even have to change the oil! This car is the most economical sports sedan on the market, and is engineered for the ultimate driving experience. Stop by our unique indoor showroom today for your test drive! 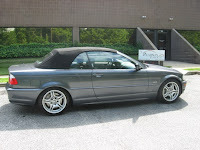 Today at Pumpkin Fine Cars we highlight one of many pristine vehicles just into our inventory. Check out this gorgeous 2006 BMW X3 3.0i. With a very prestigious look as well as the engineering and performance of a sports car, this SUV is a can't miss. This X3 has a sleek Metallic Silver exterior with a Black Leather Interior, a color combination that is always in high demand. It is a spotless Car Fax History Report and with 75k miles it is barely broken in. 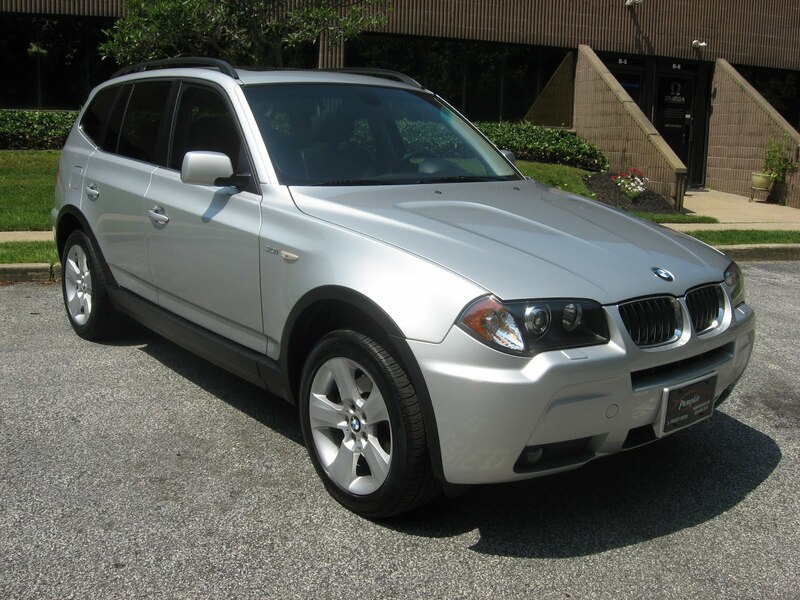 This '06 BMW X3 is priced very reasonably, as always at Pumpkin Cars, at $18,995-about $3,000 below book value! The condition of the SUV both cosmetically and mechanically is outstanding. When you think of the term "fully loaded", this X3 should immediately come to mind. It has the Full Leather Package, Panoramic Power Moon Roof, Power Seats with Memory Positions, the Cold Weather Package which includes Heated Seats and Heated Steering Wheel, Xenon Headlights, MP3/CD Player, Alloy Wheels, Privacy Glass, Auto-Dim Rear View Mirrors and more! This X3, as with all cars in our inventory, was chosen by Franck Freon to become a Pumpkin Car. It was test driven by Franck who uses his 18 plus years as a professional race car driver to know and feel exactly what the car needs to become truely top notch. It was then put through a full and rigorous service check, fully detailed and is now ready for sale. This is all done as part of our uncompromising Pumpkin Certified Program. Swing by our unique indoor showroom today to check out this beauty and the rest of the outstanding Pumpkin Cars line-up. JUST IN! 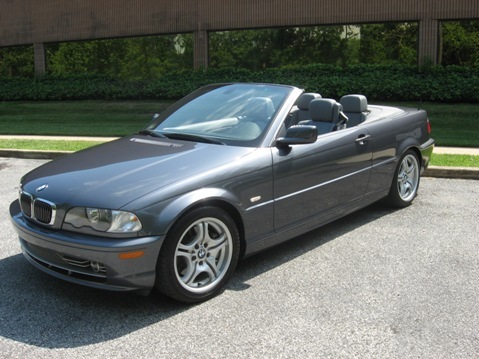 Check out this GORGEOUS 2002 BMW 330cic, 2-Door Convertible. Still in time for the Summer! This Beauty has a GREAT COLOR COMBINATION, Graphite Metallic on Light Gray Leather with Black POWER SOFT-TOP and Rear Glass Window. Equipped WITH THE MOST POWERFUL 6-CYL ENGINE and Automatic Transmission with RWD. EXCEPTIONAL CAR, ABSOLUTELY PRISTINE INSIDE-OUT. FULLY LOADED WITH VERY LOW MILES at 38,595 and driven less than average at 4k/year. NAVIGATION System, Cold Weather Pckg, Power/HEATED SEATS w/ Memory, THIS CAR HAS NO COMPETITION! PERFECT 10 OUT OF 10!! CLEAN AND PERFECT CARFAX HISTORY and selling for $19,495! Visit us and test drive this pristine car today. CONTACT US at (609) 646-7676 or email us at [email protected]. This BMW 3-Series has been FULLY SERVICED and PUMPKIN CERTIFIED! Check out our website for more information at http://www.pumpkincars.com/. 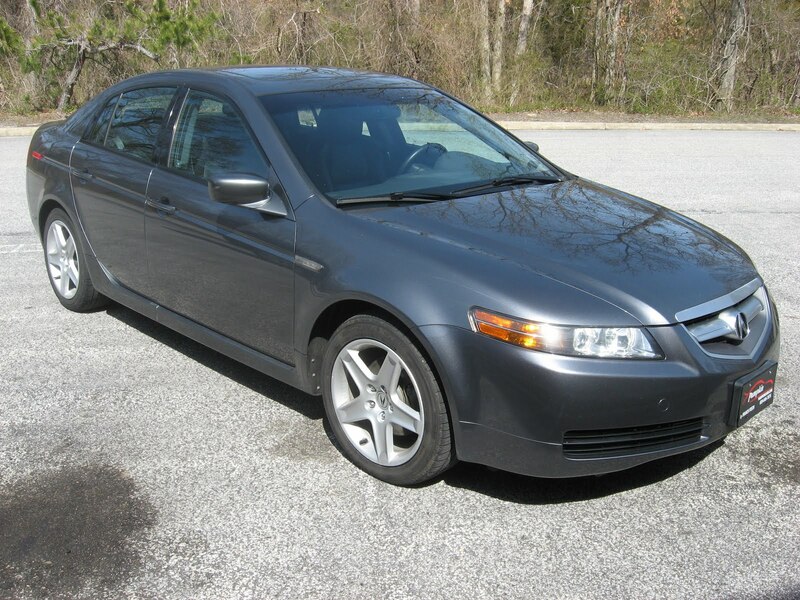 Right now here at Pumpkin Fine Cars, we have a phenomenal 2005 Acura TL 3.2. This luxury sedan is a very sleek Graphite exterior with a Black leather interior and has great miles at only 55k. It has a perfect Car Fax Report and is in absolutely pristine condition both mechanically and cosmetically which make it a perfect fit in our inventory. Acura is a luxury brand that is often over looked in the presence of Mercedes Benz and BMW, however, the TL is one of the best selling and most popular luxury sedans on the market today. Priced at $16,995 we are well below the book value of a little more than $20,000. With a powerful 6 cylinder, 3.2L engine this TL will run forever. Because Acura is owned and manufactured by Honda, they carry the same reputation for being very reliable and very low maintenance. It's a high end car that if serviced and kept up properly will last for years and years. 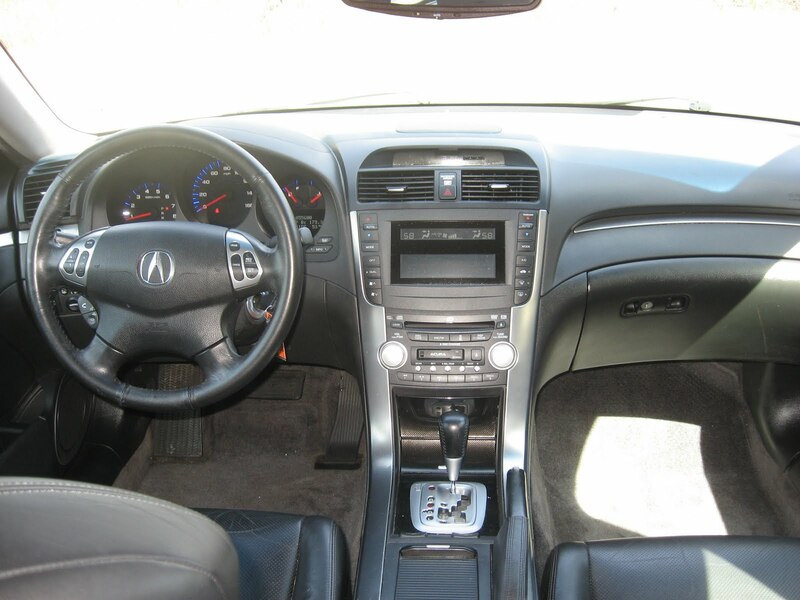 This Acura TL is loaded with great features and options. It has a In-Dash 6-Disc CD Changer, ELS Surround Sound, Xenon Headlights, Power and Heated Seats with Memory Positions, Power Moon Roof, Alloy Wheels and more! The car was hand-picked by and test driven by Franck Freon, was fully serviced, detailed and is ready to hit the road in top notch condition. No where else but Pumpkin Fine Cars will you find such a great value and a great car at an extraordinary price. Take a ride over to our unique indoor showroom today to check out this Acura TL, or any other of the pristine vehicles currently in our inventory. You will be glad that you did! Today from Pumpkin Fine Cars we bring you yet another exceptional Mercedes Benz into our inventory. 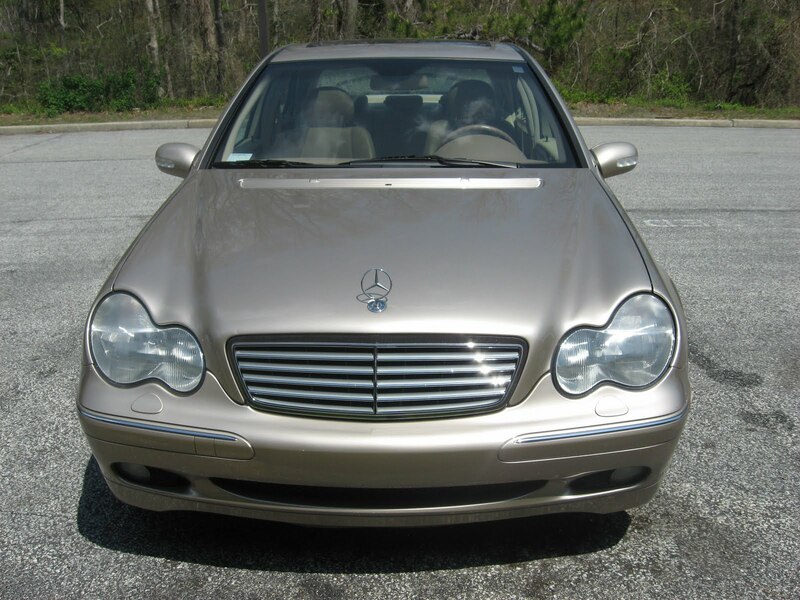 Only Franck Freon can hand-pick a pristine, low mileage car like this 2002 Mercedes Benz C320. With it's shimmering Champagne exterior and plush Light Tan Leather interior, a car cannot look more dignified, sleek and sporty all at once. This Benz is a Car Fax Certified One Owner car and has only 45k original miles! That is an average of about 5k miles per year since it was new. Priced almost $1,500 below book value at $13,495, we are certain you will not find a better value than right here at Pumpkin Cars! Not only is the mileage lower than most cars that are three or four years newer, but this Benz is loaded with great features and options. Here is the run down: Power and Heated Seats with Memory Positioning, Alloy Wheels, an In-Dash 6-Disc CD Changer, Power Rear Sunshade and more! Add to those options a strong 6 cylinder, 3.2 liter engine that will still get you 25 mpg and you have the perfect combination of strength, efficiency and luxury. All this in a sedan that costs less than $14,000! You will be hard pressed to find a new Hyundai or Kia for less than that...and this is a Mercedes Benz! If you think that this is your dream car, swing by our unique indoor showroom at 2511 Fire Rd in Egg Harbor Township to take it out for a spin. Come and meet Franck Freon and Pumpkin's knowledgeable, hard working staff so they can get started putting you on the road in the highest quality pre-owned cars around! Pumpkin Fine Cars has an INCREDIBLE TWO LUXURY SUV's FOR UNDER $10k! Known for QUALITY, HONEST PRICES and SUPERIOR SERVICE, Pumpkin has once again found two great pre-owned vehicles. Mercedes Benz is LEGENDARY for their SAFETY & QUALITY and they are KNOWN THE WORLD OVER! 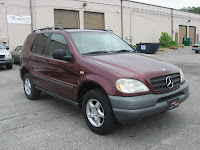 We have a 1999 Mercedes Benz ML320 with a V6, 3.2 liter engine and AWD. Great Features like Bose Sound System, AM/FM/WB Radio w/ 6-Disc CD Changer, Power/Heated Seats, Luggage Rack, Privacy Glass, Alloy Wheels and More! A Classic Silver on Gray Leather Interior with Wood Trimming and a SPOTLESS CARFAX Title History! 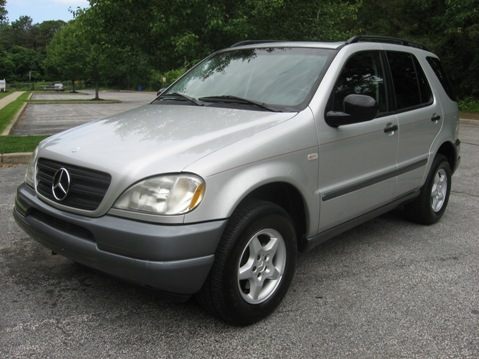 With just over 90k original miles, drive home this SPORTY ML320 for ONLY $9,495! Next we have a 1998 Mercedes Benz ML320 with THIRD ROW & 7-PASSENGER SEATING! RARE FIND, this vehicle was taken in on trade by Loyal PUMPKIN CUSTOMER! A Burgundy on Gray Leather Color Combo and a CLEAN CARFAX HISTORY. Powered by a V6, 3.2 liter engine with Automatic Transmission and AWD, this baby has 158k miles and as with most Mercedes Benz, they are KNOWN TO RUN FOREVER! PRICED TO SELL AT ONLY $6,495! SERVICED AND PUMPKIN CERTIFIED, DRIVE IT HOME TODAY! For more information, CONTACT US AT (609)646-7676 or email us at [email protected]. 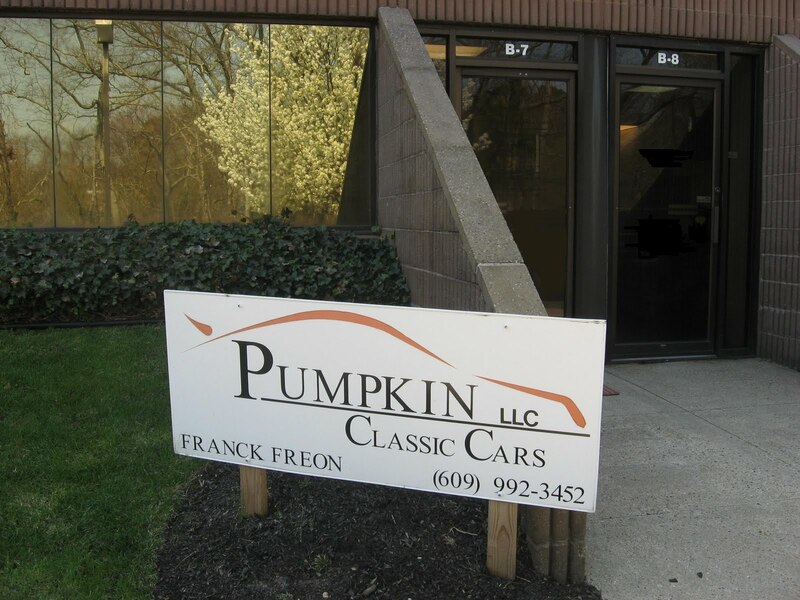 Log onto our website at http://www.pumpkincars.com/ to view a complete listing of our pre-owned cars or for detailed driving directions to our UNIQUE INDOOR SHOWROOM! GET OUT OF THE HEAT.....and step inside our INDOOR SHOWROOM! We have a wide variety of pre-owned, pristine vehicles to choose from. 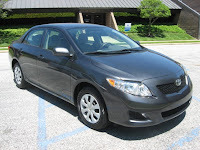 Like this 2010 Toyota Corolla LE, 4-Door Sedan. BARELY BROKEN IN with ONLY 18k ORIGINAL MILES! This baby is ONE OF THE MOST ECONOMICAL VEHICLES on the road today! Powered by a 4-Cylinder, 1.8 Liter engine and Automatic Transmission, this pre-owned Toyota gets an INCREDIBLE 40 MPG on the Highway. This CARFAX CERTIFIED ONE OWNER not only has a CLEAN & PERFECT TITLE HISTORY but is the LOWEST PRICED 2010 Toyota Corolla LE IN SOUTH JERSEY and UNDER A FACTORY WARRANTY Till Jan. 2013! A Nice Graphite on Stone Cloth Interior, MP3/CD Player, Traction Control, ABS, Power Windows and Locks and ICE COLD AIR CONDITIONING!!! PRICED WAY BELOW BOOK AT $15,495! Visit us and test drive this pristine car today. All our vehicles are FULLY SERVICED and pass a rigorous PUMPKIN CERTIFICATION process. CONTACT US ANYTIME at (609) 646-7676 or email us at [email protected]. 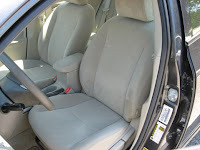 For more information, to view a complete listing of our pre-owned vehicles or to read testimonials from Loyal Pumpkin Car Owners, log onto our website at http://www.pumpkincars.com/. We look forward to earning your business! 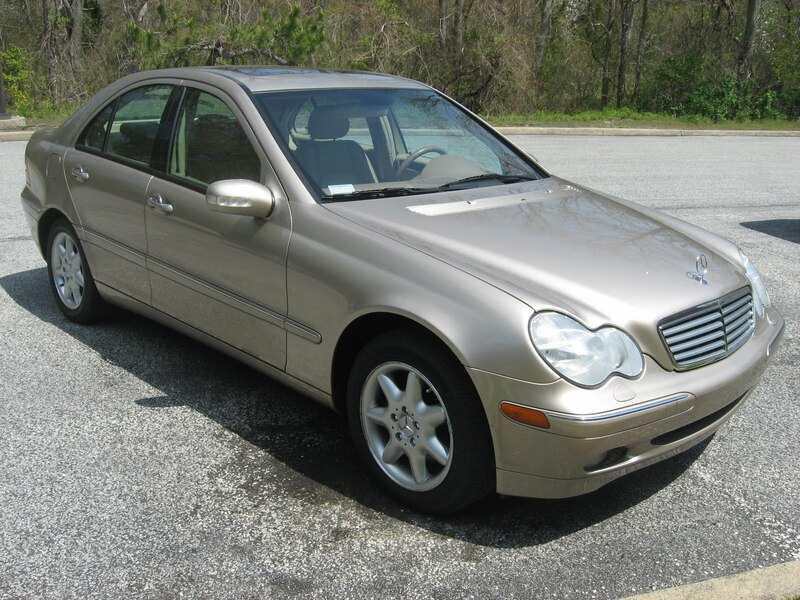 Pumpkin Fine Cars has a TERRIFIC, PRISTINE 2005 Mercedes Benz E320 WITH VERY EXPENSIVE AWD OPTION AT A FRACTION OF MSRP!!! It is a GORGEOUS FLINT GREY on STONE COLORED LEATHER INTERIOR with GORGEOUS WOOD TRIMMING! VERY WELL EQUIPPED with a V6, 3.2 liter Engine and Automatic Transmission. 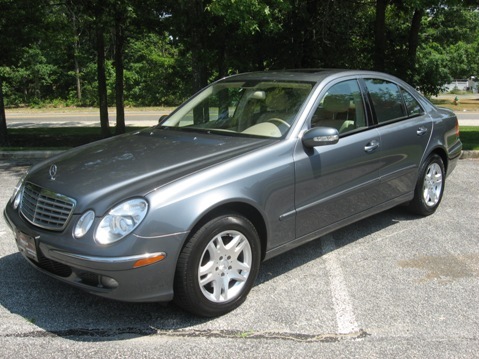 This ONE OWNER CARFAX CERTIFIED pre-owned Benz has a CLEAN & PERFECT TITLE HISTORY! Hand-picked for it's quality and craftsmanship, this luxury vehicle has been FULLY SERVICED and PUMPKIN CERTIFIED! FULLY LOADED WITH NAVIGATION, Dual Power/HEATED SEATS with Memory, Premium Sound System with AM/FM/WB Stereo & CD Player, BLUE TOOTH READY, Power Rear Sunshade plus Manual Rear Door Sunshades and Alloy Wheels. With ONLY 64k miles, you can OWN THIS BEAUTY FOR ONLY $19,995! Visit us and test drive this pristine car today. CONTACT US at (609) 646-7676 or email us at [email protected] for more information. 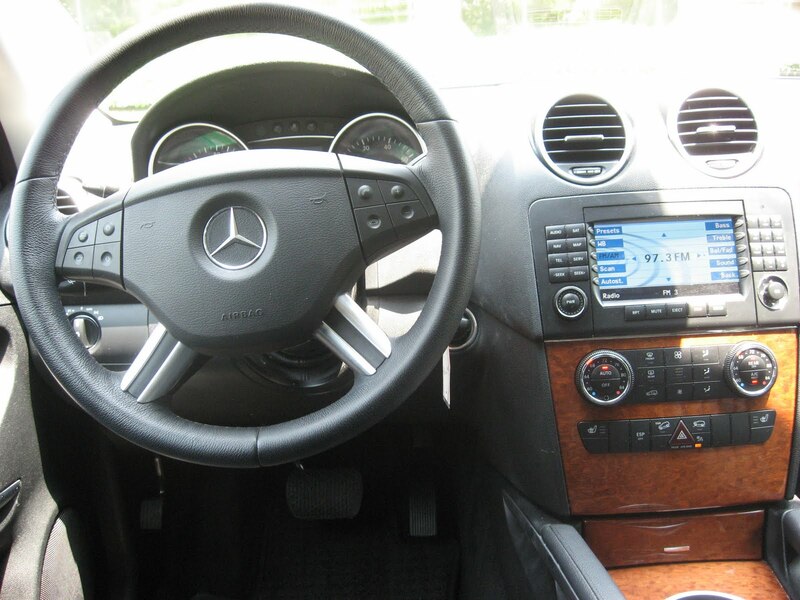 To view a complete listing of our pre-owned vehicles or to view additional photos of this E320 Benz, log onto our website at http://www.pumpkincars.com/. Hey Everyone, a heads up from Pumpkin Cars on a great event for a great cause. This Sunday, June 5th at Greate Bay Raquet and Fitness is the 8th Annual "Spin 4 The Cure" Fitness Event to benefit The Leukemia and Lymphoma Society, featuring a 5k Run & 1 mile Walk. After party at Steve and Cookies By the Bay in Margate. We encourage all that are interested to contact Lisa Bee @ 609-204-1170 Email: [email protected] or Mary Ellen Spiers @ 609-926-9550. Or visit the Facebook Page by clicking this link. In June 2002, Lisa's husband was diagnosed with CLL, a chronic incurable form of Leukemia. As a wife and mother of three small children, the diagnosis was devastating. Within a year, Lisa developed Spin 4 The Cure and successfully held her first event. Spin 4 The Cure has raised over $300,000 for cancer research and patient service, bringing hope to families afflicted by Cancer. Spin 4 The Cure raises money for adult and pediatric cancer research, provides patient aide for families coping with financial hardships and has funded informational and educational programs. Pumpkin Fine Cars is coming at you again with two more 2008 model pre-owned vehicles. Pumpkin is known for having only THE BEST VALUED CARS AROUND! Our vehicles are HAND-SELECTED for their QUALITY, FUNCTIONALITY AND CLEANLINESS by Owner, and Race Car Driver, Frank Freon who has 25+ years in the Automotive Industry. We make sure they pass our rigorous Certification process and we price them at very competitive rates. You won't find cars like ours anywhere else! The following two vehicles are a prime example of the type of vehicles we carry! 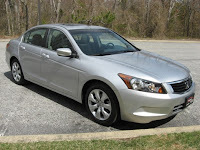 First we have a 2008 Honda Accord EX-L, 4-Door Sedan still UNDER HONDA FACTORY WARRANTY UNTIL 2013!. 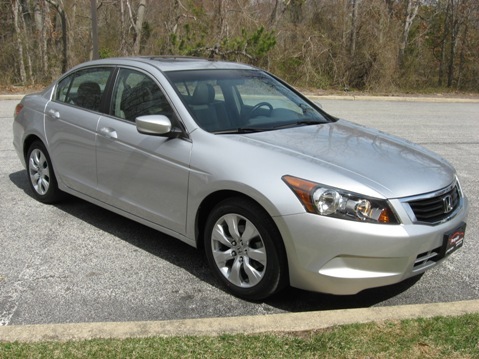 This BARELY BROKEN-IN Accord has just over 39k original miles and a CLEAN & PERFECT TITLE HISTORY! Fully Loaded with MP3 Capability & a 6-Disc CD Changer, Power/HEATED SEATS on LEATHER INTERIOR, Alloy Wheels, Full Power Options including a Power Moon Roof and more! FUEL EFFICIENT with a 4-Cyl, 2.4 Liter Engine, Automatic Transmission and FWD. CARFAX CERTIFIED ONE OWNER! Own it today for THOUSANDS LESS THAN MSRP at ONLY $18,495. Next we have a 2008 Volvo S60, 4-Door Sedan with a 5-Cyl, 2.5 Liter TURBO ENGINE and Automatic GEARTRONIC TRANSMISSION. Also UNDER FACTORY WARRANTY and a CARFAX CERTIFIED ONE OWNER vehicle. CLEAN & PERFECT TITLE HISTORY and TONS OF LUXURY OPTIONS! 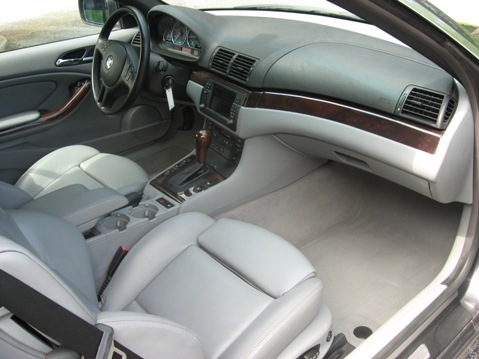 SPOTLESS SILVER EXTERIOR with REAL WOOD TRIM and BLACK LEATHER Interior. SATELLITE RADIO READY, MP3/CD PLAYER, Premium & Climate Packages with Dual Power/HEATED SEATS, Rain Sensor Windshield Wipers, Alloy Wheels, Power Moon Roof, Auto-Dim Rear View Mirrors and more! With just over 36k miles, this vehicle is PRICED TO SELL at $19,995! Visit us and test drive either of these pristine cars today. CONTACT US at (609) 646-7676 or email us at [email protected]. For more information, log onto our website at http://www.pumpkincars.com/. Pumpkin Cars is definitely not your average used car dealer and neither is our location. Nestled in a brown brick Office Complex, with a few other businesses, is our Unique Indoor Showroom. Located at 2511 Fire Road, Unit B7, between Delilah Road & California Avenue in Egg Harbor Twp, many first-time visitors look for the typical, large car lot with tons of flags, signs and cars. We, however, have a very unique location in that we are hard to spot if you don't know what to look for. Some have referred to our "hidden" location as a sort of V.I.P. Club and only the true car buyers will take the time to stop by. Once here, you will find our location to be very open & inviting, with a friendly & relaxed staff. We are a family-owned and operated business and we house the majority of our pre-owned vehicles in-doors and out of the elements. Great for shopping in the Winter when it's cold outside and in the Summer when it's hot outside. We decided to put together a short, walk-through video of our main entrance for those who wish to visit but have never been here before. Believe me, the journey is only half the experience. Once you make it to our showroom, we are sure that you will be glad you came! Click here to be taken to our Walk-Through Video posted on YouTube! For more information CONTACT US at (609)646-7676 or email us at [email protected]. For detailed driving directions or to view a complete listing of our pre-owned vehicles, log onto our website at http://www.pumpkincars.com/.